My plan was to drink in as much of it as possible during one long ride up along the coast from Melbourne through Sydney and ending in Brisbane. I expected to find comfortable riding, great people and some epic landscapes. I wasn't disappointed. 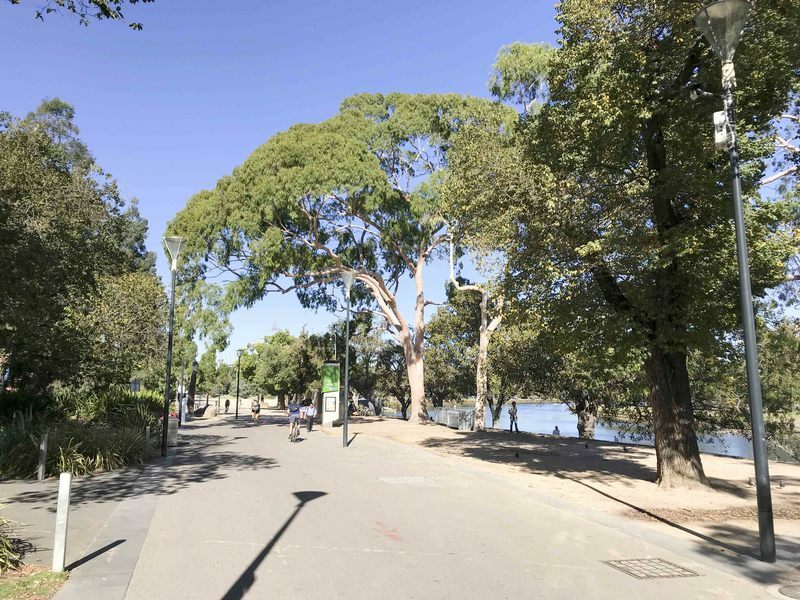 My first impression as I walked along Melbourne's broad tree-lined avenues was a vague sense of imbalance. Zeroing in more, I realized I had become so used to a pervasive sense of traffic and the endless seethe of humanity that the deep calm of the city seemed strangely out of place and had my sixth sense tingling in a strange way. Calm is probably one of the best words to describe how it felt settling into that city after months in India and Southeast Asia. Everything was clean and well-ordered. 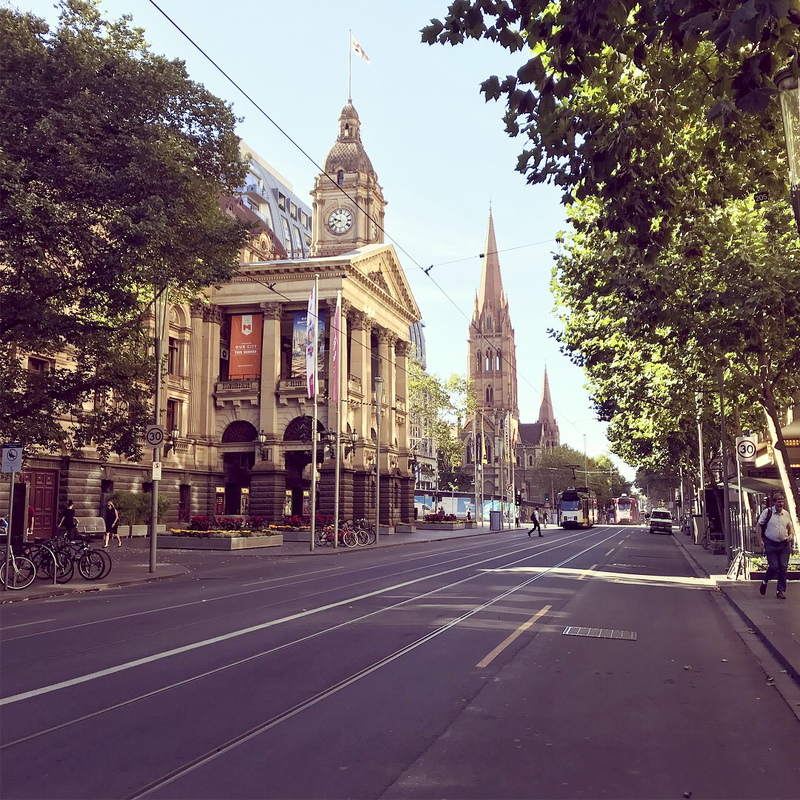 The Central Business District (CBD) was fairly busy but I couldn't help being impressed by the general state of order around me as people went about on their way to work or school. I walked around for the first day, checking out the sparsely attended parks and constantly wondering "where is everyone?". For a city with the population of Chicago, it was remarkably peaceful. 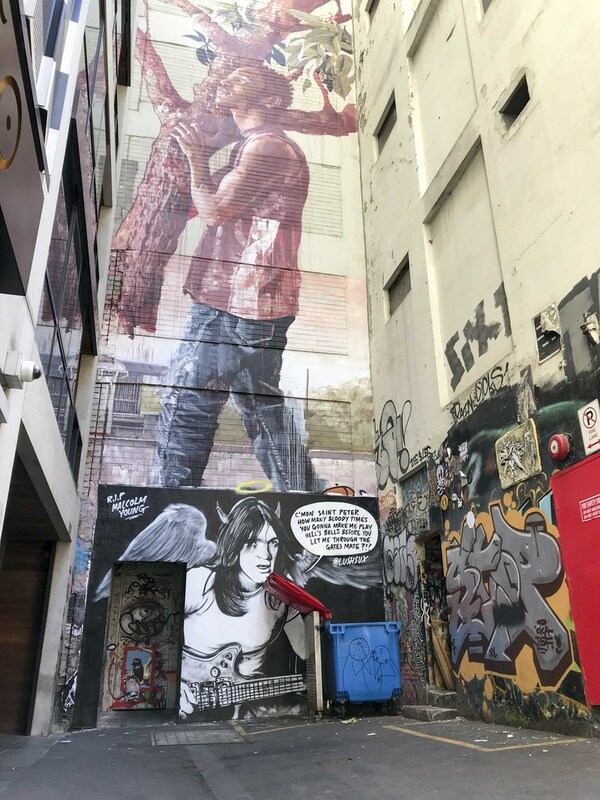 Melbourne, the capital of the state of Victoria and located almost at the very bottom of Australia, is known for being a bit more weird and artistic than the other major cities up the coast. The climate isn't too hot even in the summer (highs around 80) and it cools down a bit in the winter (lows near 45). All in all, it's a city with a whole lot to offer. 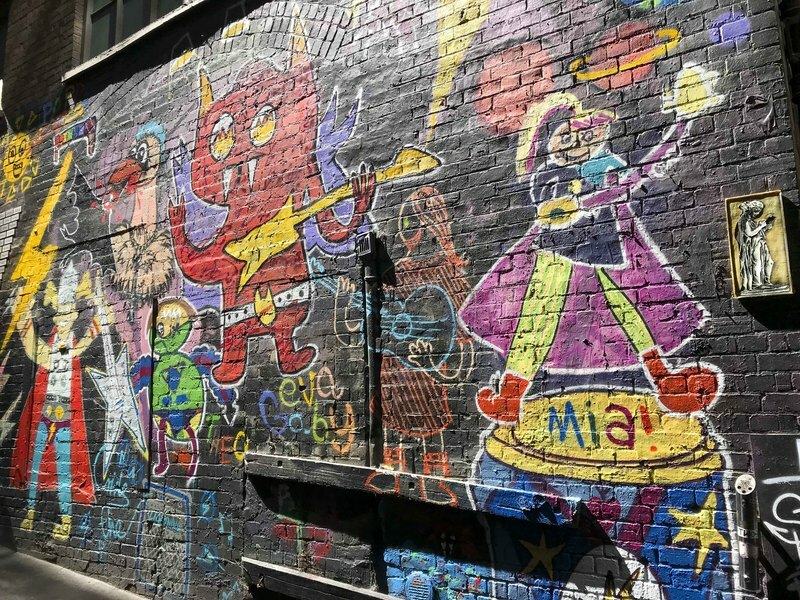 For example, they clearly take pride in art and the alleys are adorned with colorful murals of graffiti. 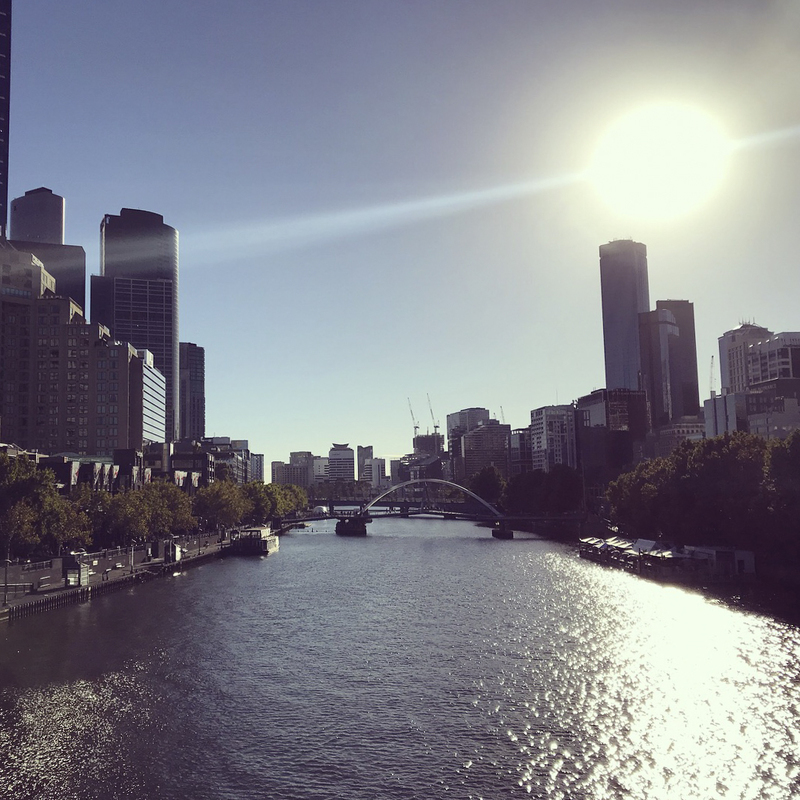 Stopping for a pint that afternoon atop a rooftop bar next to the river which bisects downtown, I could see bars stretching along the footpath into the distance and they seemed fully packed despite the early weekday. The social culture was clearly strong and no one seemed to be in much of a hurry to get anywhere or do anything in particular. That sense of energy and hustle that pervades a city like New York was nowhere to be found. 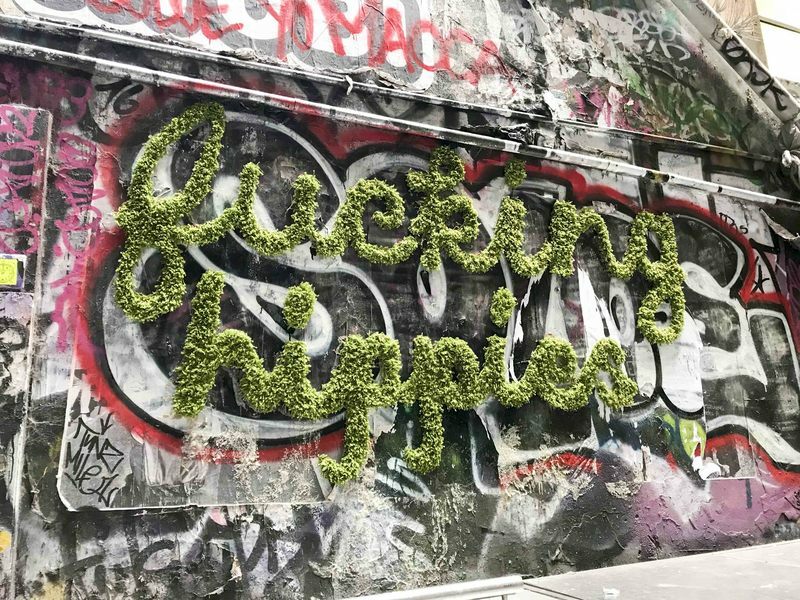 I couldn't help but be struck by a sense that, while the city was so nice as to make you gladly settle into a wonderfully idyllic lifestyle, it lacked the edge I'd been promised. 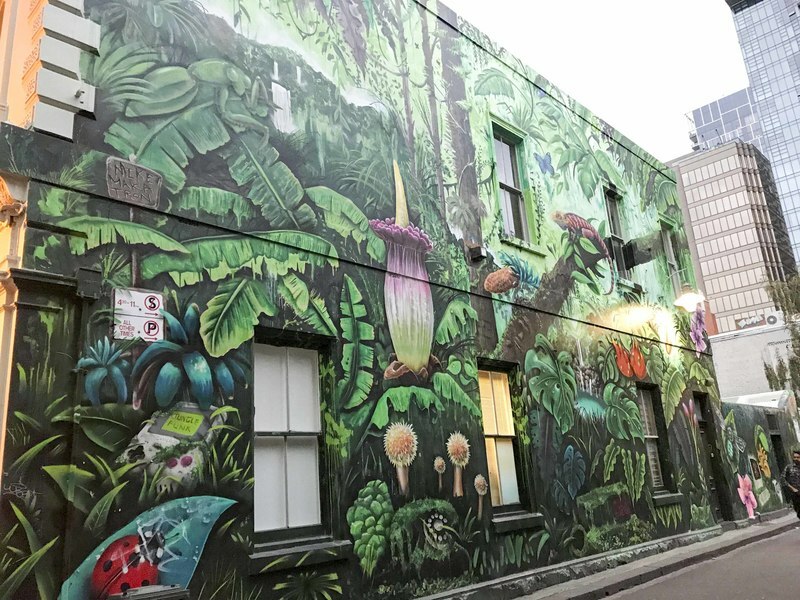 I set out the next day in search of alternate experiences and found myself wandering through the Fitzroy, the hipster district of town. A smattering of hip cafés and funky restaurants fed my spirit a bit but I was still left confusedly trying to figure out how much of the issue was Melbourne being too, well, nice, and how much was my having a totally screwed up sense of what "edgy" means from living in a fairly dirty and unsafe place like San Francisco. Content to leave the question until I could compare with Sydney, I picked up my bike for the first leg of the journey and set out in the late morning amidst the threat of rain. 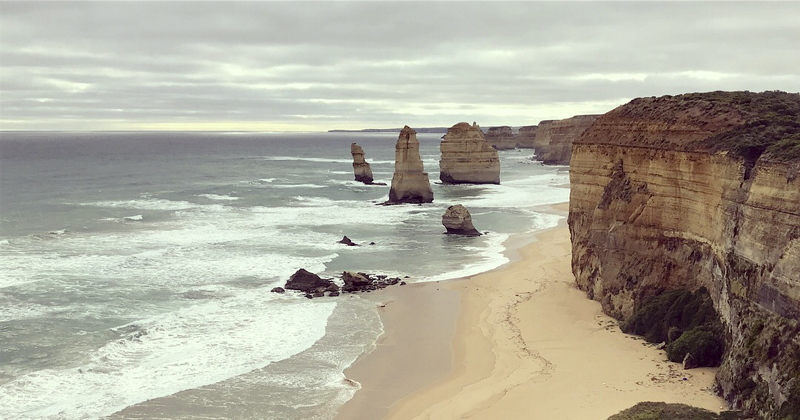 Instead of riding straight up towards Sydney, I opted to shoot west along the coast to take in the Great Ocean Road. As an aside, I couldn't help but be constantly amused by the very literal naming conventions used locally. Somehow it seemed to border on the absurd to, for example, call the "Exit" instead the "Way Out"... but I'm willing to admit that it may seem equally strange the other way around. 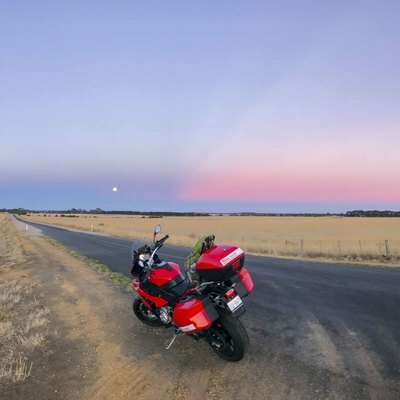 The motorcycle I rented, a late model BMW S 1000 XR, was a screaming deal for a one-way ride up to Sydney because someone needed it there right when I was scheduled to arrive. It cost little more than the maintenance would be on a similar model over a similar distance. 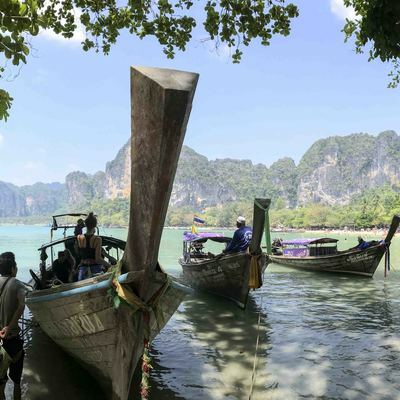 Typically, one-way rentals are charged a fairly substantial relocation fee otherwise and such impressive machines go for 10x the cost of a rental car. 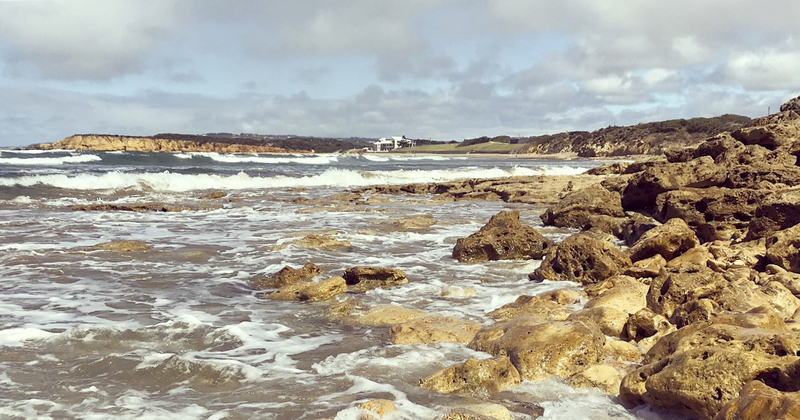 I headed down to the famous Torquay beach and was blown away by how beautiful the water looked. My ride west along the Great Ocean Road was a constant flashback to the California coast. In both cases, the road hugs steep cliffs above a crashing sea and the curves open up to soul-filling vistas. 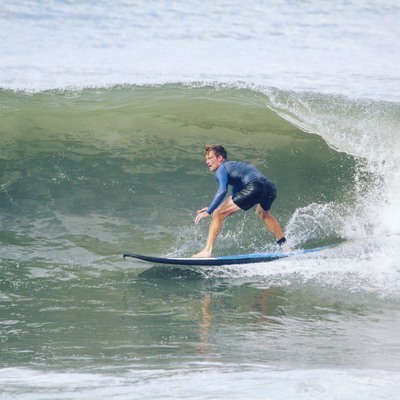 In this case, though, the air was warmer and the water a more tropical hue to contrast with the dark of the pacific. I honestly couldn't imagine why anyone living there would want to go anywhere else to experience the sea. 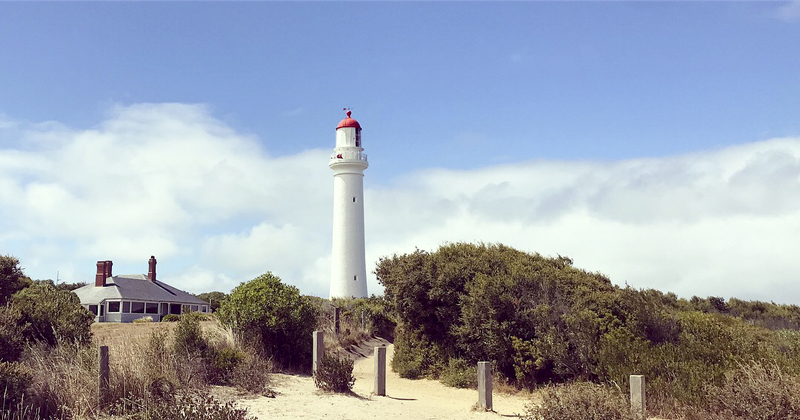 Past the Cape Otway Lighthouse, I continued along the coast and couldn't help but stop constantly to take photos. 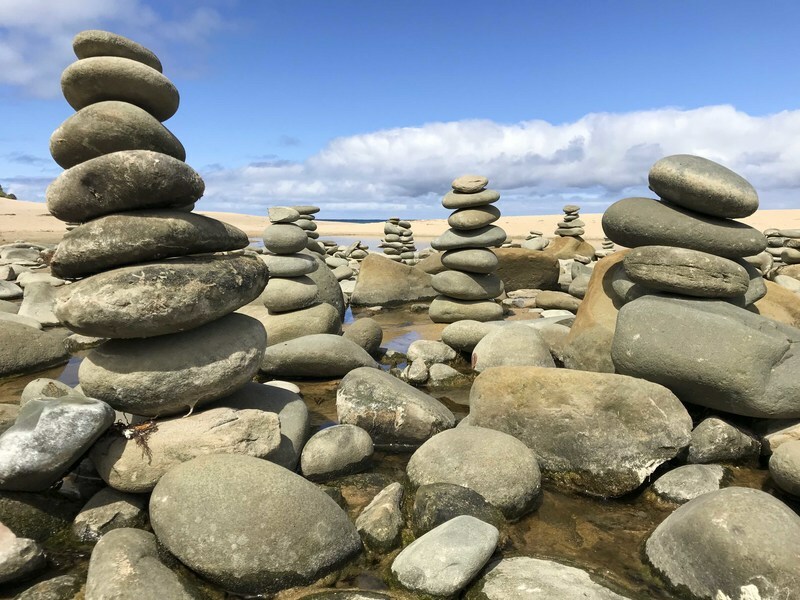 I was particularly arrested by the site of a tide pool decorated with dozens of smooth stone cairns placed by passing motorists. 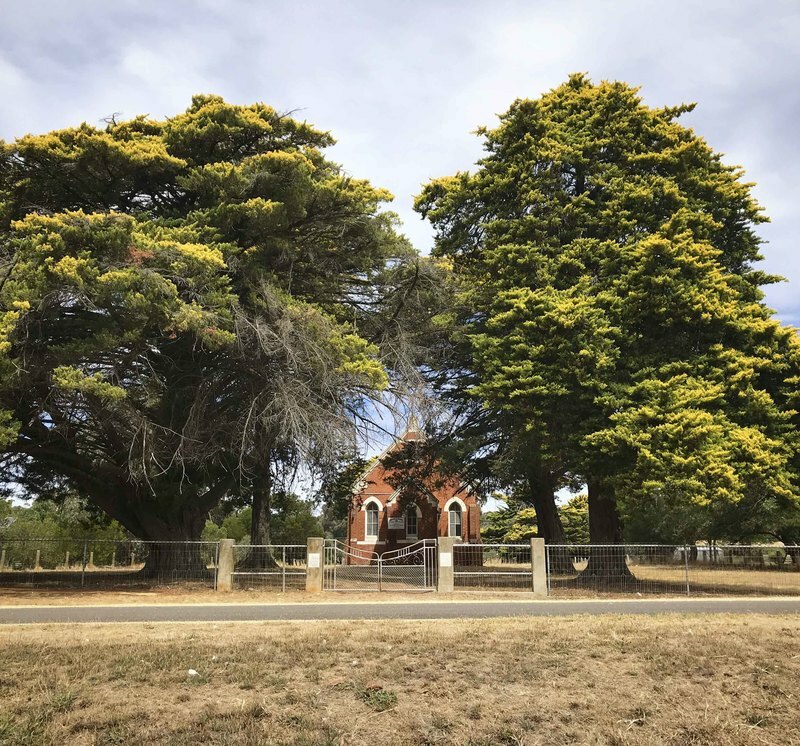 Down past the famous stone towers of the Twelve Apostles, I began to get a bit concerned about the timing and headed inland towards Grampians National Park and my intended campsite for the evening. The ride north started blissfully enough. It was a chance to break away from the crawl of slow coastal roads and test out the freedom of the interior. Riding fast along isolated country roads that cut through open hayfields, I drank in the big sky as the sun slowly made its way down to a brilliantly colorful dusk. As the full moon rose in front of me, I was treated to one of the most surreal and beautiful rides of my life. The trouble started shortly after the sun dipped below the horizon. All day long, I was secretly hoping to see a kangaroo. What's more Australian than that? The first one was bent over at the side of the road, half hidden in the dusk light. Slowing down for a closer look, I laughed at the awkward way it hopped off into the brush by the side of the road. I felt like I'd had a unique and special wildlife encounter. 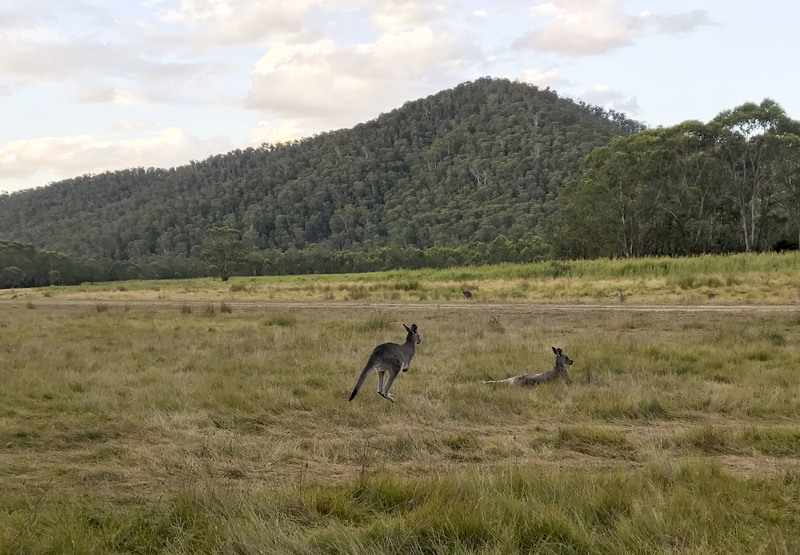 The second set of 'roos was a small family of three, also munching vegetation by the side of the road not 3 minutes later. As I slowed down with care, they scattered, with two hopping across the road and the third disappearing off to the right. The two who had crossed ran into the barb wire fence on the other side. One made it over the top while the other panicked and darted back across the road again. Almost at a crawl, I rode at a snail's pace behind the poor creature as it panicked and skidded back and forth across the road in the beam of my headlight, careening towards the fence and then back across the road again. Fearful of running into it if I mistimed things, I could only wait until it eventually found a gap in the fence and hopped through. Now turned from happily cautious to deeply concerned, I slowed way down and craned my neck out to scan the roadside for more of these kamikaze death hoppers. The final 15km to the campsite took an hour as my concern became terror through not a handful but sixteen additional roo encounters. The place was positively swarming with them. In the US, riding through the country at night you can often expect to see a deer or two at the side of the road so it's always good to ride carefully at that time. Nothing came even close to the infestation of kangaroos I experienced during that first night in the wilds of Victoria, where a total of 20 kangaroos crossed my path in a single hour. I resolved to never again get caught out at dusk. The next morning, I shook off sleep and packed up the tent I'd finally had a chance to use for the first time since India. 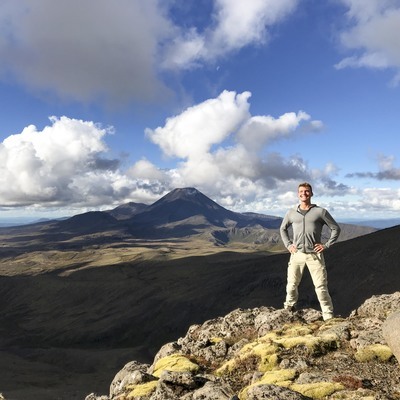 I'd arrived after dark and went right to sleep so I hadn't had much chance to scope out the local area and, used to the epic vistas of Yosemite or Yellowstone, I was curious what wonders the Grampians National Park held in store. Riding out, I can't say my expectations were met. The hills were pretty and the rode wound alluringly along their curves but it never quite opened up into anything particularly astounding. Australia, with a population of 34 million, has over 500 national parks. For comparison, the US has 58 national parks and 129 national monuments to serve over 300 million people. 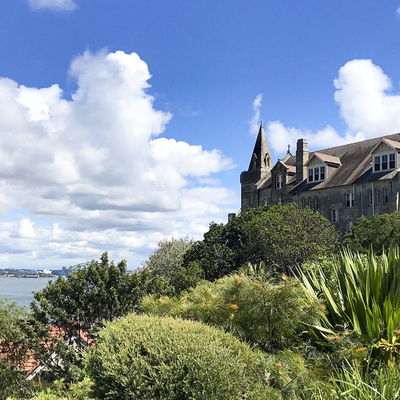 I quickly recalibrated my expectations for national parks in Australia to be a bit closer to state parks back home, though there were some notable exceptions. Having started early, this day's ride was a real treat. 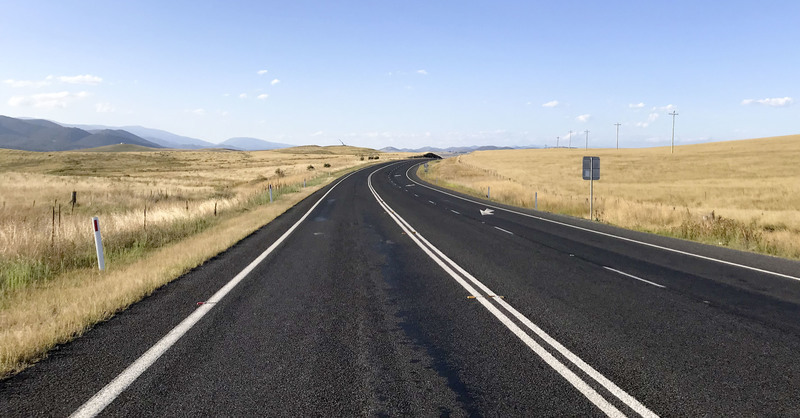 The road as I headed back east towards the Victoria Highlands cut straight through vast stretches of dry farmland. 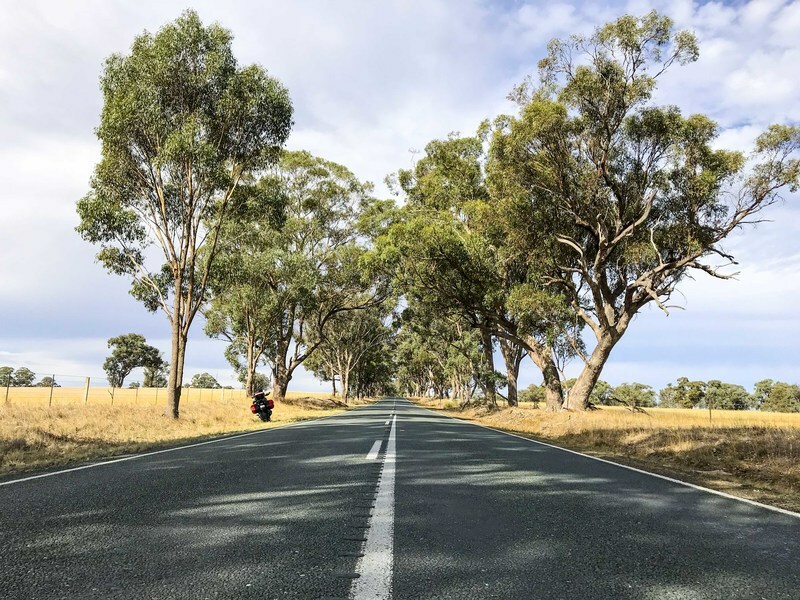 Giant yellow-leafed trees lined each side and formed a shady corridor that echoed with the roar of the BMW's engine as I put it through its paces. I occasionally stopped in the small towns that cropped up along the way, but, despite generally well maintained roads, the country was mostly empty of other people. 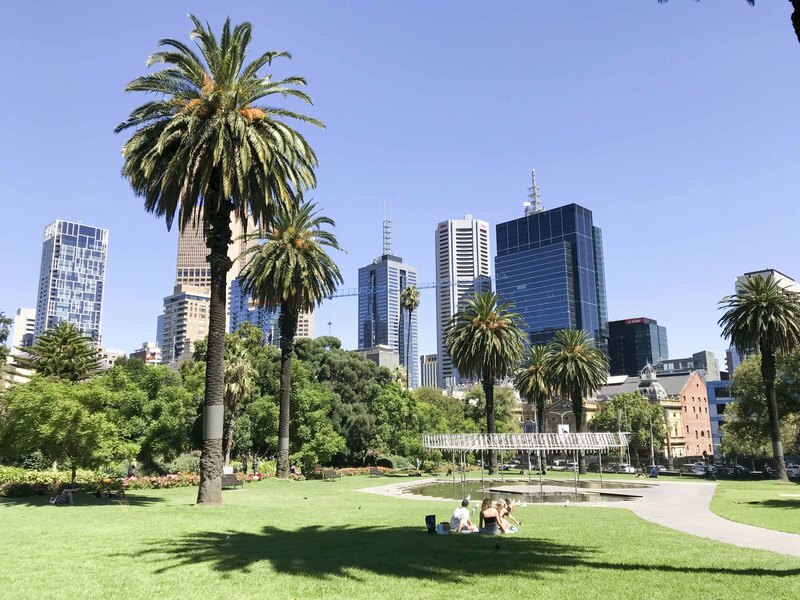 85% of Australians live within 50km of the coast, most within just a handful of major cities. The countryside I traveled through wasn't quite in the famous outback but it was clearly a step removed from the population centers I'd came from just the day before. 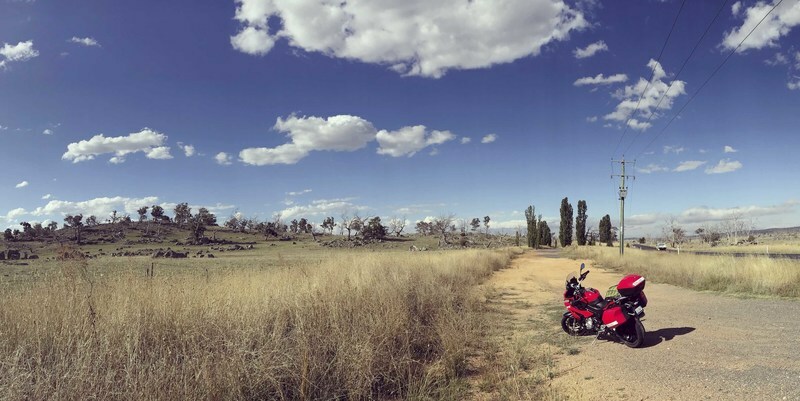 Under the hot sun and surrounded by endless miles of glorious country, I rediscovered the zen of motorcycling. Your thoughts cycle through some interesting places when your mind's most important task is an occasional prompt to veer slightly left to keep with the road. Sometimes I sing, sometimes I breathe as deeply as I can of the smells of the road and others I'm transported back to the outdoor explorations that marked the most satisfying days of my childhood. After a satisfying night spent in a cute town called Wangaratta where I grabbed a few beers at a local brewery, I headed into the highlands. 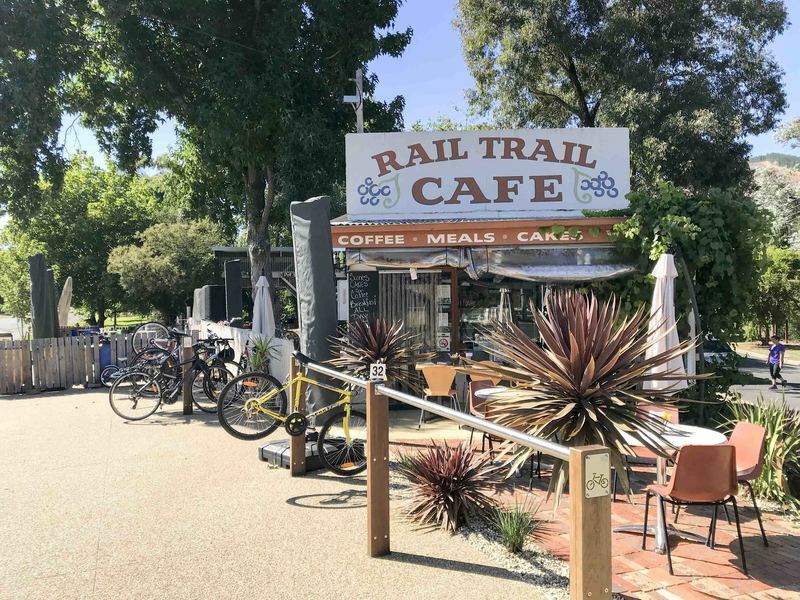 First, I had one of the best brunches of my life at the off-the-road Rail Trail Cafe, a quaint little cafe situated near a bicycle path on the way into the Victoria Highlands. 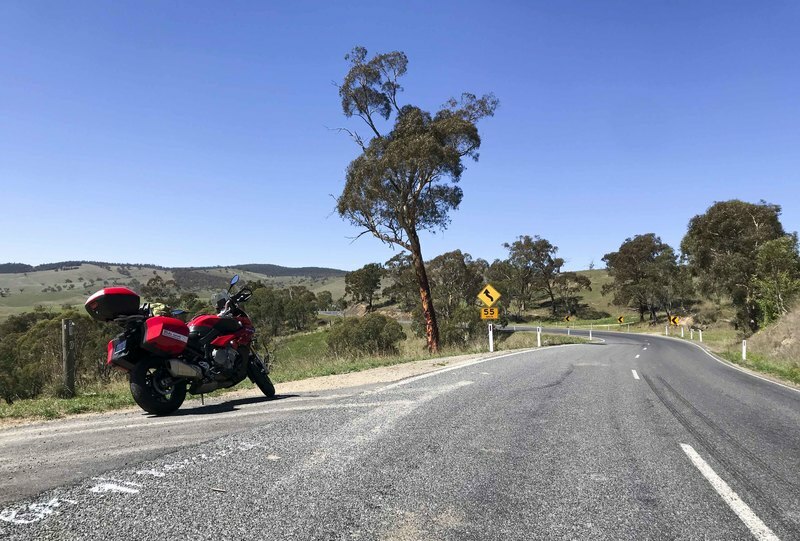 The road into Alpine National Park, part of the Victoria High Country(also called the "Victorian Alps") is one of the best known motorcycle routes in the country so it wasn't surprising to catch the hint of motorcycle exhaust hanging on the air around the turns and see lines of hogs clustered in front of popular cafés. As much as I enjoyed the hot dry rides through farm country, nothing beats the mountains so I was thrilled as the road began to kink and the hills slowly rose up around me. The early foothills were surprisingly similar to Napa -- covered in the grape vines that make this one of the premier wine-producing regions of the world. Every rise and fall, every curve that dipped into a valley of carefully cultivated farm and ranch country was a delight to navigate. Eucalyptus trees mixed with leafier varieties and the dry grasses were grazed by occasional herds of cattle which left the air fragrant with the dusty musk of their droppings. 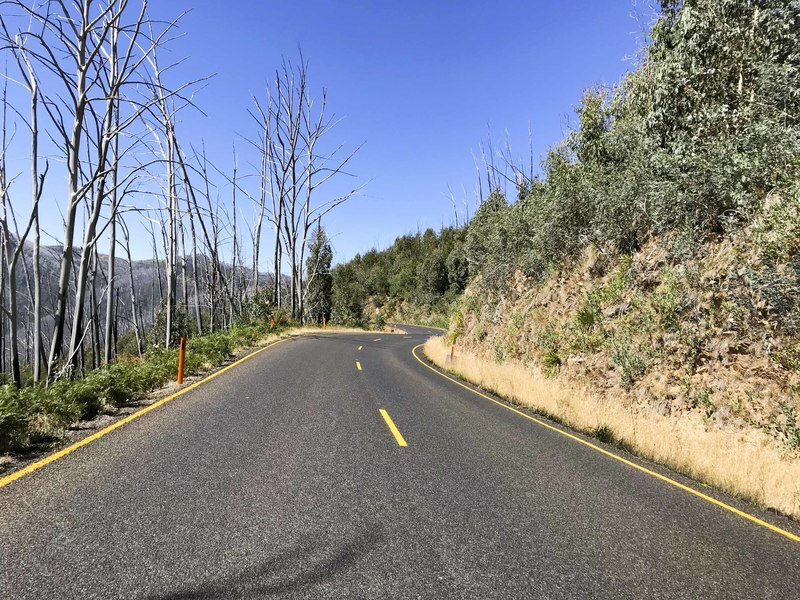 The road rose upwards until forests became hearty wind-gnarled bushes and crossed a ridge line where cool air blew across ski lifts that had been abandoned for the summer. Winding through the hills, the scenery was straight out of the paintings I'd seen in Melbourne of homesteaders who traversed the country over a century ago. 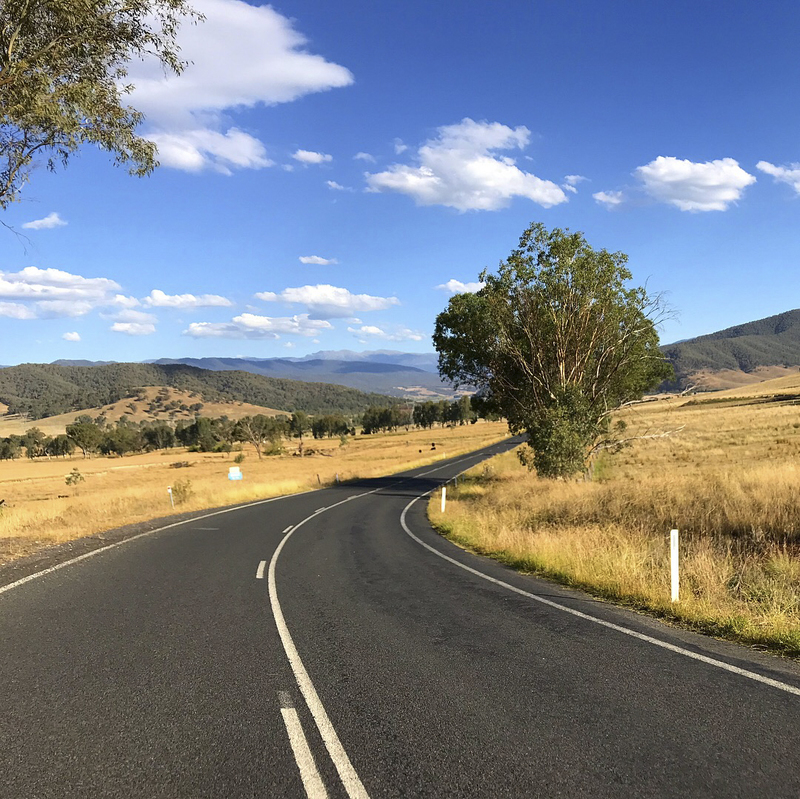 The Victoria Highway crossed through the mountains, along the rivers, and past countless small farms tucked into the hillsides. 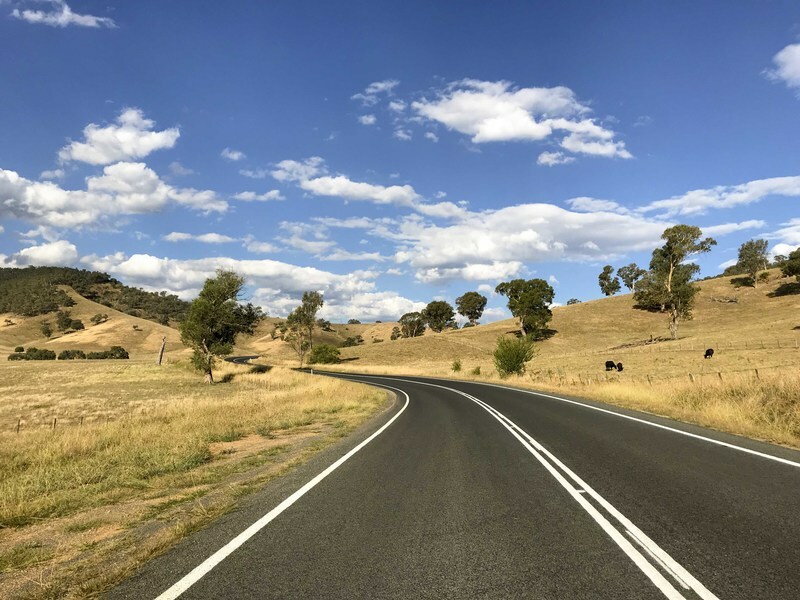 The late afternoon saw a sky dotted with cotton-ball clouds and a perfect strip of pavement twisting into a gorgeous yellow and green horizon. 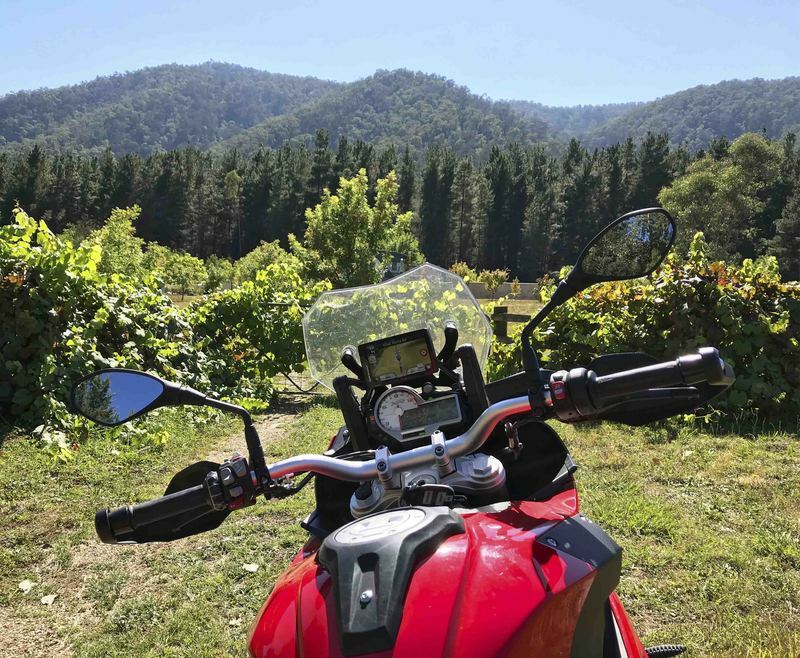 The riding through the Victoria Highlands was as world class as it gets. 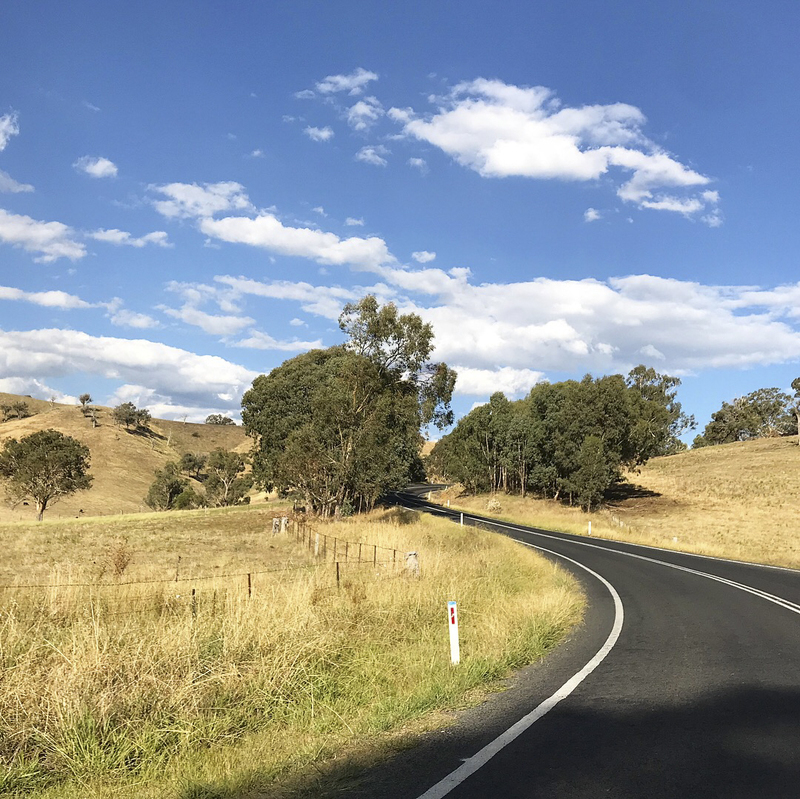 Fast, clean and sparsely populated roads through the very picture of pastoral beauty and accompanied by the myriad smells of fertile land farmed well. I spent the whole time on the edge of my seat, drinking it in like a man starved of the outdoors. Finally tired after a fully day hugging curves and well versed in the dangers of staying out past sunset, I crossed into the state of New South Whales and pulled into a campsite in the fading light. Naturally, it was infested with 'roos. Curious to see them up close, I quickly discovered that they had zero cares to give about my presence and would let me quite close before throwing long suffering looks and hopping several meters further away. It was always surprisingly easy to find campsites throughout Australia. Even though it was still late summer when I traveled through, I never had an issue with finding space in the first-come sites which were everywhere. The Campermate app was also a lifesaver. 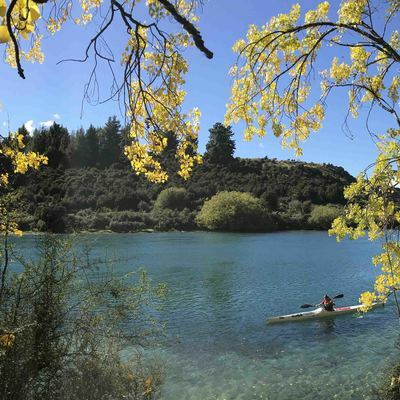 It showed the locations of all the nearby campsites, their costs and their facilities. 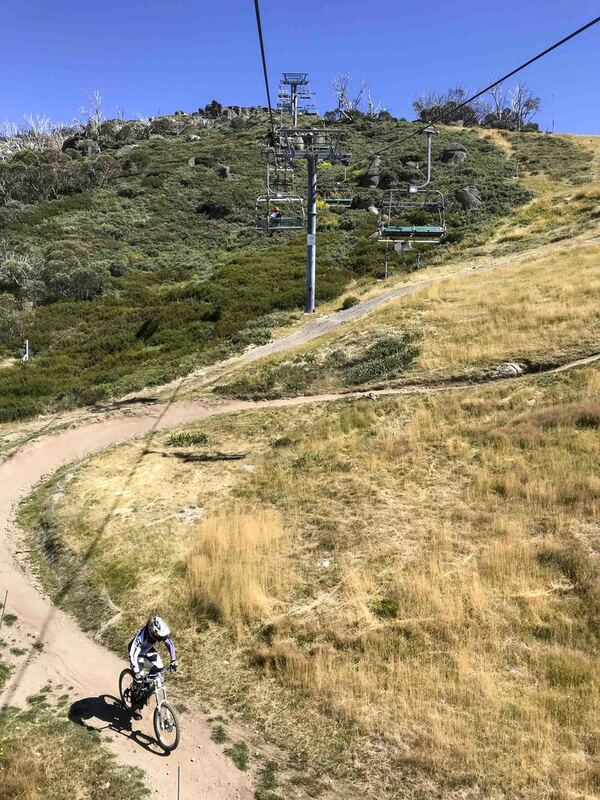 Just for fun, I opted to take the ski lift up the meat of the mountain alongside a bevy of mountain bikers who treated the ski trails like a summer playground. 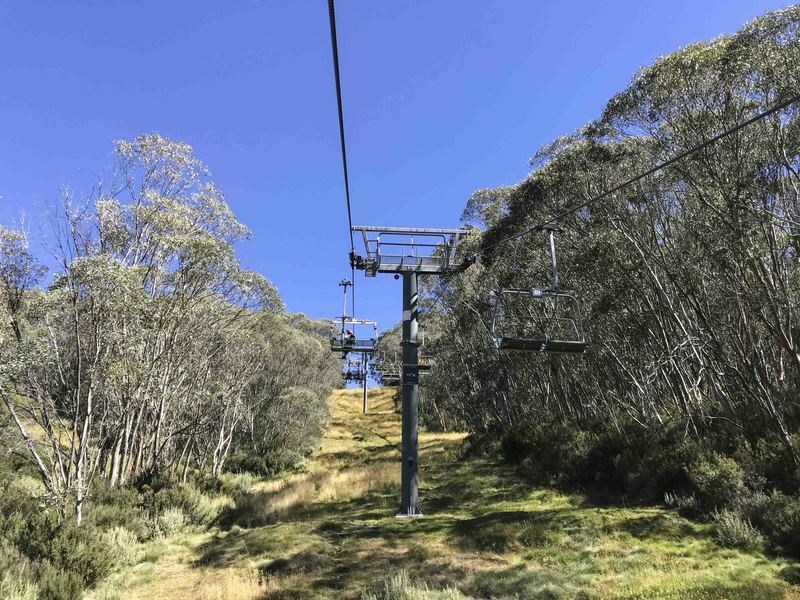 Taking a ski lift on a warm summer day brings up some odd feelings that conflict with memories of the same sounds and sights dominated by winter's snows. The walk to the summit itself could barely be credited as a hike -- it was as much horizontal as vertical and was immaculately maintained to preserve the delicate alpine environment. But the skies were clear and the air was crisp so it was a worthwhile experience nonetheless. Kosciuszko under my belt, I set out for another afternoon of immaculate roads under patchwork clouds. The topography flattened out but was kept interesting by erratic boulders and occasional cattle herds that grazed on the yellow late-summer hay. Concerned about an approaching storm front, I took a detour and battened down for the night at an off-highway campsite. I had the whole place to myself and took the time to catch up on some reading and crack a Cooper's Red as a reward for a great couple of days. The final day before Sydney saw the mountains flatten out even more as I made my way to the sea and Wollongong. My great weather luck ran out and I ended up crossing the last patch of mountains in the kind of full downpour that I hadn't seen in years. Despite the discomfort and danger, it was a novel enough experience to keep me engaged and I pulled into the hotel dripping like a drowned rat but in good spirits. 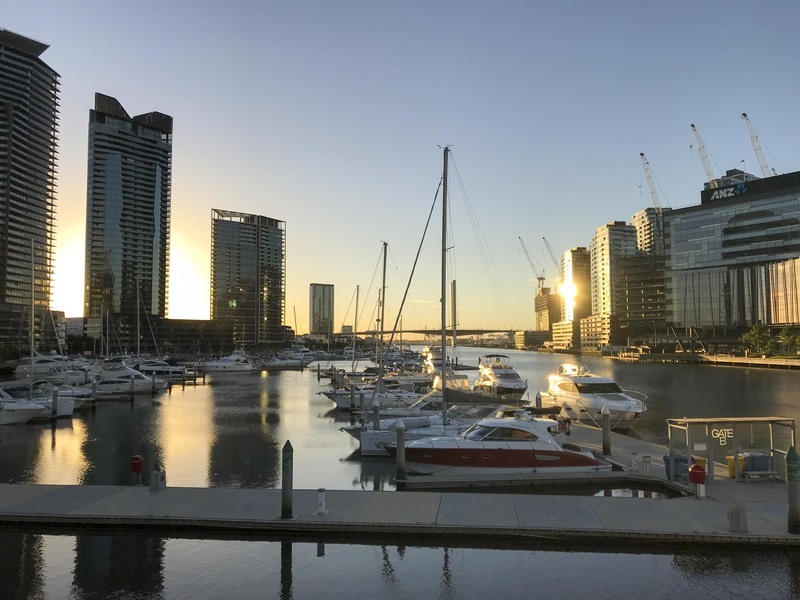 It was a good chance to dry my clothes and reflect on the first half of the ride through 'straya, which had been one deeply satisfied breath after another, and prepare to re-enter the urban environment in Sydney.